Thank you to all who participated in the 5th Annual Bioenergy Day! More than 60 organizations in the United States and Canada participated in Bioenergy Day 2017 - the most of any year yet. The pellet fuels industry was well-represented among bioenergy industry advocates including biomass power producers, biofuels manufacturers, universities, Forest Service state and federal offices and state and local governments. Bioenergy Day participants welcomed elected officials, school groups, community stakeholders, members of the media, and customers to learn more about the economic and environmental benefits of bioenergy. Congressman Bruce Westerman (R-Ark. ), chair of the House Working Forests and Biomass Caucuses, kicked off the week by delivering a statement on the floor of the U.S. House of Representatives on Bioenergy Day and the importance of bioenergy in wood markets and improved forest management. You can view his statement here. Congressman Westerman also posted an editorial on his website on the importance of bioenergy. 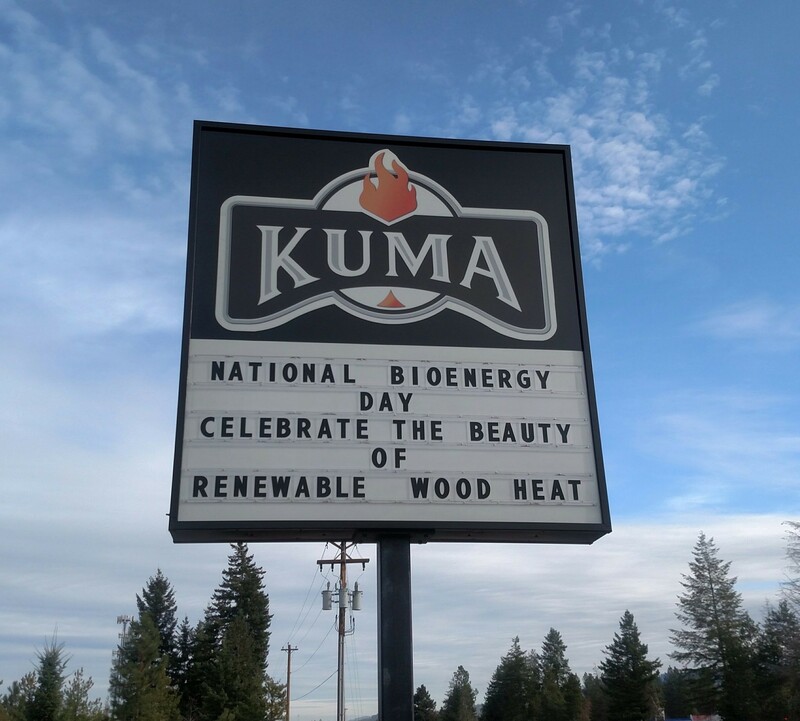 Kuma Stoves displays a Bioenergy Day sign at its Rathdrum, Idaho, manufacturing facility. Social media hosted an active discussion of bioenergy on Bioenergy Day. Dozens of photos and media stories were shared using the hashtag #bioenergyday. The U.S. Department of Energy and U.S. Forest Service tweeted several times in support of bioenergy to their combined 900,000 followers. Pellet Fuels Institute sponsored Bioenergy Day, along with the Hearth, Patio and Barbecue Association and Biomass Thermal Energy Council. We encourage you to check out the Bioenergy Day website to see all that went on for Bioenergy Day 2017! 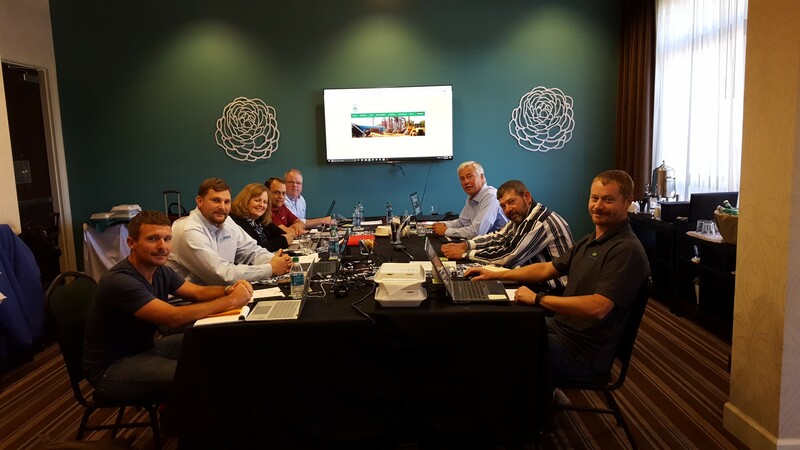 This week, the PFI Board of Directors met in Atlanta, GA. Here is a photo of them hard at work! Thanks to Board chairman Stan Elliot for the submission! Let us feature your pellet mill or hardware shop in a future Pellet Wire! 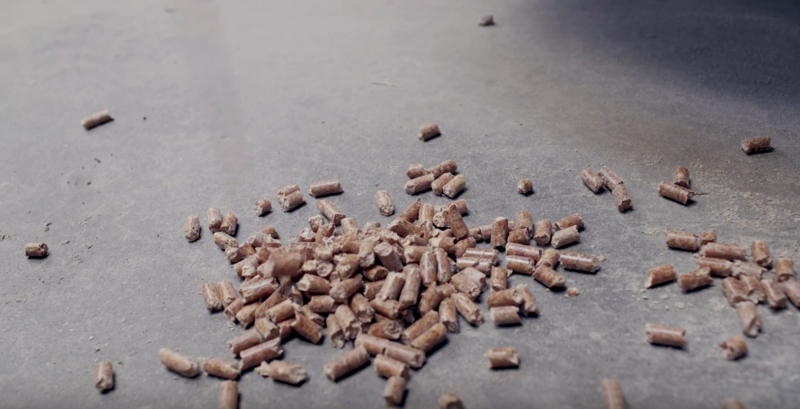 We want to see photos of what's happening with the pellet fuels industry in your neck of the woods. Send us photos with captions - facilities, retailers, production, appliances, happy customers! We'll run the photos in a future edition of Pellet Wire. MoistTech Corp. announces its move to 6408 Parkland Drive Suite 104 Sarasota, FL 34243. MoistTech Corp.® has grown over the past years with the need to expand our corporate headquarters to a larger facility to continue to exceed our customer's needs. Still located in beautiful Sarasota, FL, our move into a new, larger office space accommodates our growing Sales Team, Marketing Efforts, Lab & Sample Testing Facilities and Calibration department with the needed space to expand our efforts. The new 8,000 square foot facility will enable us to better serve the planning needs of our clients as we continue to grow our team. As of September 2017, MoistTech Corp. has doubled its space and revenue in the last 3 years in which is contributed to their steady approach to customer service excellence, lasting long-term relationships with our clients and investing in our team's success. More than 50 businesses and organizations throughout the U.S. and Canada have come together to participate in the 5th Annual National Bioenergy Day. "We've got a plant out on French iIland that burns three types of fuel. It burns the refuse dry fuel from our garbage, it burns wood waste from sawmills and different places, and it also burns wood but it burns railroad ties, shredded up railroad ties, which is a real good way to recycle those railroad ties and make energy out of them," says Mike Herro, Community Service Manager for Xcel Energy. ReEnergy wants to work with a business that could gain from being next to its Maine plants. The owner of four biomass plants in Maine is looking for a partner to co-locate next to its facilities as a strategy to improve the plants' commercial viability. ReEnergy Biomass Operations, a company based in New York, owns biomass plants in Fort Fairfield, Ashland, Startton and Livermore Falls. It has filed a request for proposals for a partner with commercial technology to co-locate at one or several of the plants. The intent is, within three years, to increase the profitability of the biomass plants, and either manufacture bio-based materials from wood, or convert the heat and steam from the energy process into other high-value products. Examples of industries that could co-locate include biofuels, agriculture and aquaculture. Proposals must be submitted by Nov. 30.